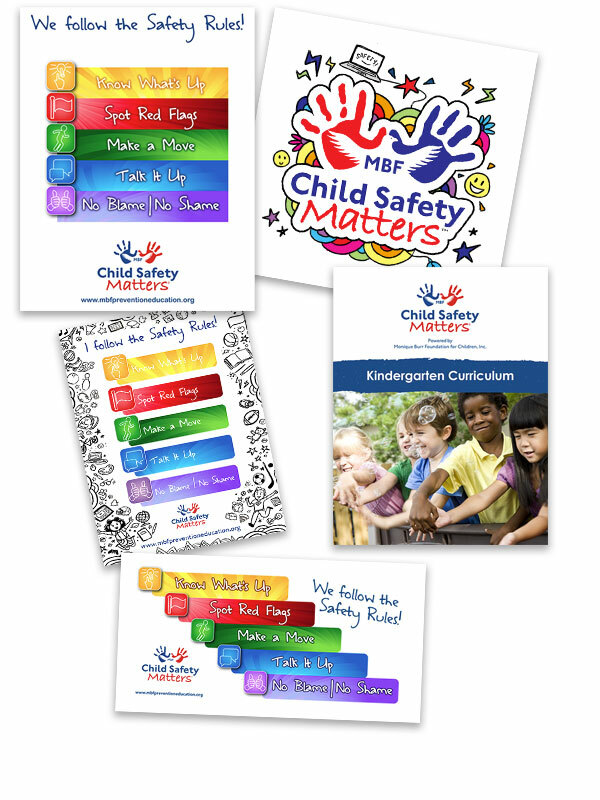 MBF Child Safety Matters® is a comprehensive, evidence-based curriculum for elementary school students in grades K-5. The program educates and empowers children and all relevant adults with information and strategies to prevent, recognize, and respond appropriately to bullying, cyberbullying, all types of abuse, and digital abuse dangers. The program was developed WITH schools, not FOR schools, to make the best use of existing resources and ensure schools have effective programs that are easy to implement. It is presented in two comprehensive lessons ranging from 35-55 minutes (or in four shorter lessons) by trained facilitators in classrooms. Facilitators present turnkey scripts along with engaging, interactive PowerPoints including lecture, group discussion, skills-practice activities, videos, and games. Additional reinforcement materials for parents, classrooms, and schools are also available.